Julie Holunga is an executive business coach who trains and develops small-medium size business leaders, professional services managers to bring direction, focus, and effectiveness to their careers. Julie’s clients are mid-career professionals and business owners who feel they have reached a plateau. 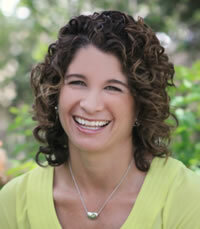 Through her proven frameworks, Julie supports her clients to reach the next level of success. Julie loves collaborating with professionals who want to take control of their careers. They want something more, even if they aren’t sure what that looks like when they first start working with together. With both individuals and teams, Julie’s clients work hard to make change and take ownership of their careers by leading deliberately. She supports her clients through education and training of new skills and awareness, as well as holding them accountable and demonstrating what they can’t see for themselves. Women’s leadership initiatives. Establish and promote programs to advance careers of women by considering communication, brand, and presence. Success in New Role. Define success and identify blind spots. Develop action plan for impact and influence. Accelerate professional development. Communicate clearly and effectively. Learn to communicate with teams and individuals to be heard, increase collaboration, productivity, and alignment. Utilize Emergenetics® Profile Framework. Succession Planning. Build pipeline by identifying and developing high potential employees. Design advancement and retention process for organizational growth. Build book of business and brand. Build systems and metrics to effectively and efficiently build brand awareness and book of business. Julie’s career has always involved coaching a diverse group of high-level individuals looking to impact change. At The Center for Corporate Citizenship at Boston College, she worked with senior leaders at Fortune 500 corporations to develop, implement, and improve corporate citizenship initiatives. Following her work at The Center, Julie served as the project manager for Alumni Career Services at Harvard Business School focusing on the careers of alumnae. She built relationships with leaders at Wall Street firms leading the efforts to advance women into positions of leadership, and advised alumni who were in transition. Julie started her career working at Harvard University in the Capital Gifts group, assisting high-net worth alumni impact change. Julie is a certified Co-Active Coach from the Coach’s Training Institute, and an ACC Coach from the International Coaching Federation. She is also a certified Emergenetics Associate utilizing an assessment profile which reveals client’s strengths by examining their preferences within seven thinking and behavioral attributes. Julie received her Bachelor’s degree in French Literature and Economics at Union College, and her MBA from Boston College, Carroll School of Management. "I have gleaned more thought-provoking information from you since January than I have from all of my other coaches put together..."